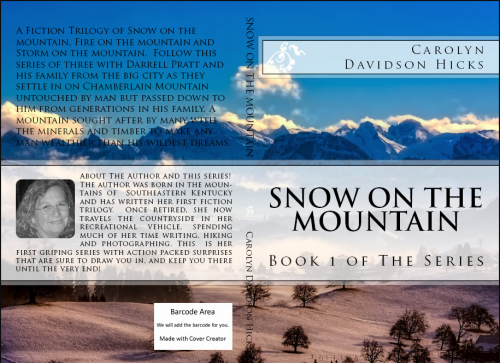 An inheritance or a lottery and nothing more nor less, would have every brought this city slicker couple to this Godforsaken place with mountains and snow as far as one could see. A no man’s land with no Internet, no satellite, and no cell phone service. And, not to mention move-in day in the dead of Winter! But, desperate times call for desperate measures. They embark upon a journey, that will forever change their lives! This is the book cover before the book went to print but gives you an idea what the back of the book looks like!